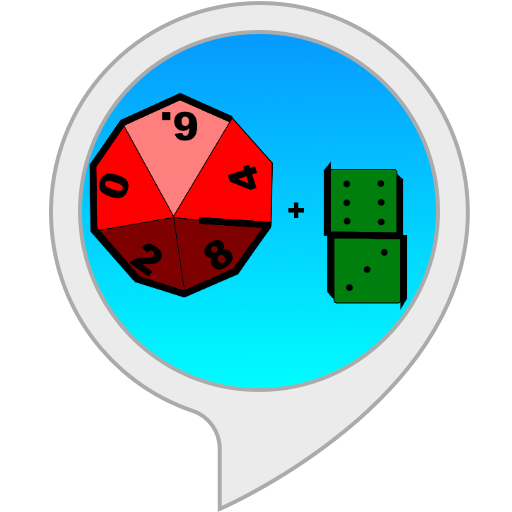 Giants and Halflings, the dice rolling phenomenon that's sweeping Faerun, is now conveniently located on any Alexa-enabled device. In G&H, you take on the role of a pair of Halflings (represented by two six-sided dice) trying to take down a giant (represented by a 10-sided die). Roll higher than the giant rolls to score a hit above the knee. But it's not quite THAT simple. Among other dangers: roll too high and you'll fling yourself right into the giant's maw. And if the giant rolls a 1, that's an automatic kick - you lose. To get started, just say "Alexa, open Giants and Halflings". "Alexa, open Giants and Halflings"